Investing in shares is known as one of the four main kinds of investments in the financial market, alongside bonds, cash, and property. 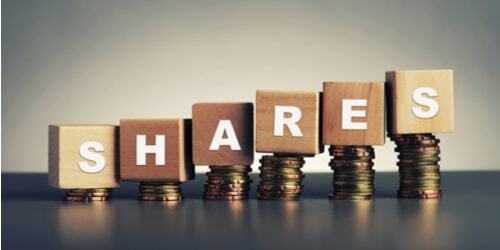 Shares, otherwise known as equities, grant the investors the right over a company. If you have invested on the company’s stocks, then you are considered as a part-owner of the firm and you are entitled to a proportion of the firm’s value. Just like other investment types, there are risks attached on investing in shares but they also have the ability to give investors higher returns called dividends. But venturing in the stock market is not an easy task. For those who are thinking of jumping into the market and investing in shares, here are four golden rules you must know. Use wise and informed decision. There is no single formula to success in the stock market. At all times, you need to make use of wise and informed decisions to increase chances of earning higher returns. Proper research should always be carried out to get vital information about the business and the market. Understand the business, not the stock. To excel in investing in shares, you need to be able to understand the business in general and not the stocks you invest in. To make it clear, you need first to understand what type of business or service a company operates before you invest in them. One common advice you will hear from experienced investors is not to use your emotions in the process of decision making. You will need plenty of discipline. The stock market is always changing. The volatility in the market has resulted in great losses. But if you apply a disciplined approach, you may be able to invest systematically and hold on to the right shares patiently.